" Articles from: January 2018	"
After some quick news headlines --- (on another top Trump official resigning in shame, another senior Republican Congressman announcing he won't run for reelection, a Democratic Senator avoiding a second corruption trial, and a literal GOP train-wreck) --- we dive into our special coverage of what used to be a solemn and largely serious U.S. tradition. 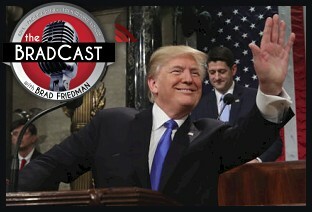 We're joined today for commentary, fact-checking and other post-SOTU analysis by DAVE JOHNSON, longtime blogger, creator of "Seeing the Forest", and former Senior Fellow at Campaign for America's Future, and TARA DEVLIN, comedian, creator of RDTDaily.com and host of the weekly, TaraBuster podcast. Desi Doyen joins us as well, of course, to help break down and fact-check Trump's misleading claims and outright SOTU lies on the economy, tax cuts, healthcare, immigration, drug prices, dangerous "national security" plans, his deceptive infrastructure proposal, his racist dog-whistles and shameless attempts at fear-mongering the American people during Tuesday night's joint session of Congress. We also review just some of the things that Trump didn't mention in his speech for some reason (America's deadly gun epidemic and climate change, among others), whether Democrats will be able to counter the coming tsunami of GOP propaganda in advance of the 2018 midterms, and how Rep. Joe Kennedy, III performed in his Democratic Response to Trump's address. Guest: Philadelphia Daily News' Will Bunch on staving off 'Trump Futility Syndrome'; Also: Debunking Trump lies about the economy (and the environment) in advance of SOTU and the 2018 midterms..
First up today, some encouraging numbers on Affordable Care Act ("Obamacare") enrollment for 2018, despite the GOP and Trump's best attempts to undermine any way that they could. (Along with a reminder that folks in California and New York still have time to sign up or change their existing plan if they work quickly!). Then, Donald Trump and his party are already lying about the economy --- from unemployment figures to the stock market to their tax cuts --- under the first year of his watch, which, if demonstrable facts still matter (and they may not) is not as good as it was under Obama's watch. But, with "Trump Fatigue" now setting in for many, as our guest today, WILL BUNCH of Philadelphia Daily News, argues in a recent column, it may be getting more difficult to keep "The Resistance" going amid the barrage of dispiriting news and horrible tweets from Trump and his Administration. That, Bunch argues, makes 2018 incredibly dangerous. So, how does "The Resistance" avoid stave off the fatigue before (and even after) the 2018 midterm elections, as the darkest of Trump's authoritarian impulses continue to kick in? How different is all of this from similar madness during Dubya's regime (the memories of Democratic voters notwithstanding)? And how much should the media and, yes, Democrats themselves be held to account for the mess we're now in? "The actuality of Trump --- after just one year, remember --- has not been as bad as the actuality of eight years of George W. Bush," Bunch says. "But I think the potential is just so much worse. I think that causes this anxiety, but also the fact that people feel powerless to change this course. That is the 'Trump Fatigue' that I wrote about." "It's fatiguing, it's exhausting, and it makes so many people just want to give up, not read the news, not call their Congressmen to protest the latest outrage that's going on. That's the danger. Again, that's the authoritarian playbook, what has happened so many times in so many places around the world. We've never had this experience in the United States, ever, and so we don't really know what to expect," he explains. We discuss the effectiveness (and/or lack thereof) of public protest during the Trump Era, and how much of the lack of outrage, at least on the streets, can be chalked up to the ineffectiveness, so far, of the Trump Administration itself. "I keep coming back, again and again, to two things," he says. "The environment and immigration are two areas where we are not waiting for Trump to do something. Those catastrophes are happening right now. The lack of action on climate change, the undoing of regulations to help the worst polluters. That's an abusive catastrophe that's already happened under Trump....The human rights catastrophe of ICE and the Border Patrol, and the way they're carrying out deportations --- they're arresting and targeting activists. These are individuals. They are isolated cases. But you have to do the math, you have to add it up. It's a pattern of human rights abuses. It's horrible." 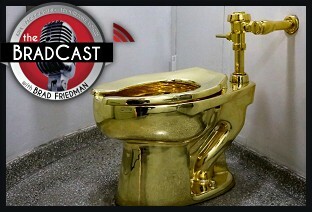 We discuss all of that and much more in today's conversation. 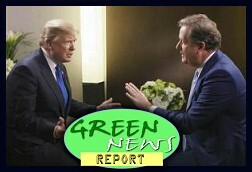 IN TODAY'S RADIO REPORT: Debunking President Trump's latest lies and disinformation on climate science; The U.S. is now importing less oil than ever before, thanks to Obama; EPA reversal on Pebble Mine is qualified good news for Alaskans; PLUS: Thanks to Trump, the Doomsday Clock has been moved up to 2 minutes to midnight... All that and more in today's Green News Report! On the encouraging side of election and voting rights news today, however, the North Carolina Supreme Court on Friday sided with the state's new Democratic governor, and effectively reversed a years-long effort by the state's Republican legislature to roll back many voting rights in the key swing-state. And, speaking of the first family, Trump's recently reported hatred of sharks --- revealed by adult film actress Stormy Daniels in the wake of revelations of her alleged affair with Donald Trump and $130,000 hush-money payoff just before the 2016 election --- has resulted in an outpouring of donations to shark charities across the nation and the world! See? 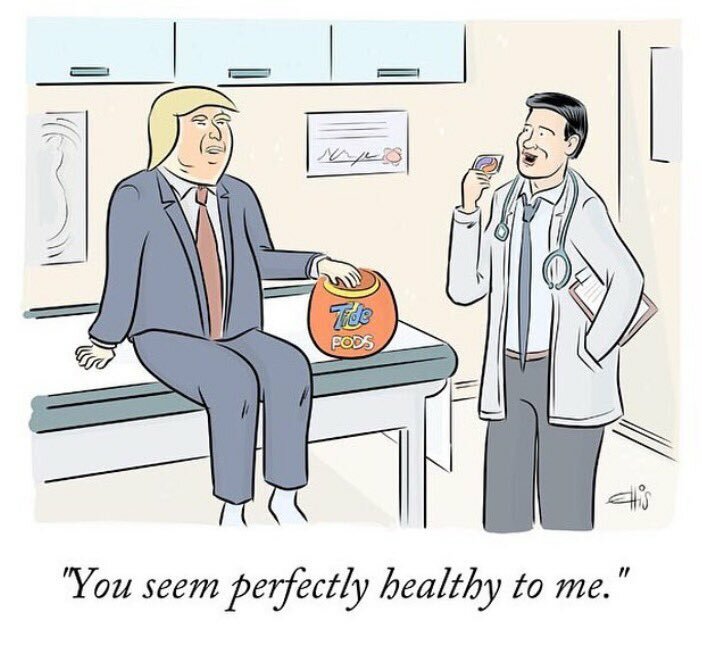 Donald Trump can do some good in this world after all! While much of the corporate media continued their 24/7 coverage of Republicans' pretending there is a "secret society" at the FBI to take down President Trump and Democrats' ongoing speculation about what Special Counsel Robert Mueller may or may not be finding in his probe, an august body of nuclear and climate scientists offered yet another chilling warning to the world. The Bulletin of Atomic Scientists, keepers of the so-called "Doomsday Clock" since 1945, announced that they were moving the symbolic clock forward to two minutes to midnight, which is as close as the world has metaphorically been to apocalypse since the end of World War II, including at the height of the Cold War. We're joined to discuss today's announcement and related matters by longtime nuclear weapons policy analyst STEPHEN SCHWARTZ, who formerly served for years as the Bulletin's Executive Director and Publisher, and now as an adjunct professor at the Middlebury Institute of International Studies. Schwartz shares the fascinating origin of the Doomsday Clock's creation (originally meant as little more than a magazine cover), and offers insight into why the Bulletin's scientific board --- which includes 15 Nobel Laureates --- decided, for the second year in a row, to move the clock "thirty seconds" forward. "This is the closest that it's ever been, as it was in 1953, when it hit two minutes. The furthest away was at 17 minutes to midnight in 1991, reflecting the end of the Cold War, the creation of the START Treaty that sharply reduced US and Soviet strategic nuclear weapons, and a general feeling at that point that we were moving very much in the right direction. Obviously, the people at the Bulletin today, and many people around the world, feel that we're moving very much in the wrong direction," Schwartz tells me, noting that while there are "far fewer nuclear weapons in the world today than in 1953 when the hands were last at 'two minutes to midnight'," we now have far more countries with their "fingers on proverbial buttons. Thus, he charges, the "the likelihood of nuclear weapons being used, whether by accident or design, is higher, certainly, than at any time since the Cold War ended." "It's an interesting and obviously symbolic arbiter of global dangers," he explains. "And since about 2007 it also includes global warming in the mix, so it's not just about nuclear dangers." At what is now "two minutes to midnight", we also discuss a draft report from the Pentagon of a new "Nuclear Posture Review" currently being reviewed for final release by the White House. The new Defense Department plan calls for, among other disturbing things, clearance for the President to launch a first strike nuclear attack in response to non-nuclear events such as a cyberwarfare attack on U.S. infrastructure. "I think is really problematic," Schwartz warns, explaining how the new policy would set a very dangerous precedent not just for the U.S., but with other nuclear armed nations. "It just seems incredible that the first thing we would do if we were attacked via cyberwarfare is to start thinking about lobbing nuclear weapons. We're sending a very clear signal to every country in the world that has or wants nuclear weapons, 'Hey, this is what you should be thinking about doing with your nuclear arsenal.' And if they were to adopt our posture, it would come back to haunt us in a really big way." 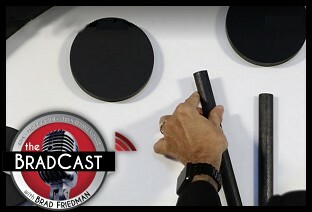 We also talk about lessons learned from the recent false alarm of an incoming ballistic missile attack on Hawaii, how and why the terrifying alert was issued, similar such false alarms in recent U.S. history, and why this particular event highlights the many dangers of "Donald Trump's intemperate rhetoric and threats against [a nuclear-armed] North Korea." 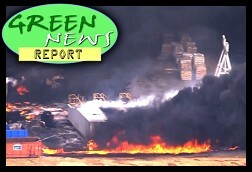 Finally, Desi Doyen joins us for the latest Green News Report to help underscore the other major reason the Doomsday Clock was notched forward again today, as climate change has helped lead to the world's first major city about to completely run out of water, even as another major city in California becomes the 9th to sue the fossil fuel industry for damage to the climate. IN TODAY'S RADIO REPORT: Cape Town, South Africa is about to become the world's first major city to run completely out of water; In Davos, U.S. promotes oil and gas while France pushes clean energy innovation; Trump's big infrastructure proposal will bypass major environmental laws; PLUS: California city becomes the 9th to sue the fossil fuel industry for climate damages... All that and more in today's Green News Report! Beyond that, on today's program, we've got some encouraging news on voting rights in the state of Florida, believe it or not. A citizen initiative to allow former felons to vote has officially qualified for the state's November ballot, after an herculean effort to gather more than 800,000 qualified signatures by proponents who hope to help re-enfranchise some 1.7 million Floridians who have completed their sentences, many of them years ago. While the grassroots effort has already been monumental --- as a segment from Sam Bee's Full Frontal highlighted last year --- the measure must still receive more than 60% approval from voters this November in order to amend the state's constitution. More former felons --- who are disproportionately African-American in FL --- are disqualified from voting in the Sunshine State than any other. Only they, Kentucky, Virginia and Iowa currently ban such citizens from voting for life. "Florida accounts for nearly 25 percent, or 1.6 million, of the people who have lost their right to vote" in the U.S., according to the ACLU. "As a result, one in ten Floridians are shut out of our democracy." But, if it was up to the Trump Administration, there would be many more such felons in FL and everywhere else. We're joined today by criminal justice journalist JUSTIN GEORGE of The Marshall Project, to discuss his recent article looking at "Trump Justice, Year One: The Demolition Derby", in which he examines "nine ways Trump has transformed the landscape of criminal justice, just one tumultuous year into his presidency." 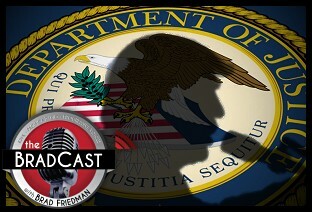 We discuss the many changes made by Trump's Department of Justice and Attorney General Jeff Sessions, as they attempt to "demolish" the legacy of the Obama Administration. 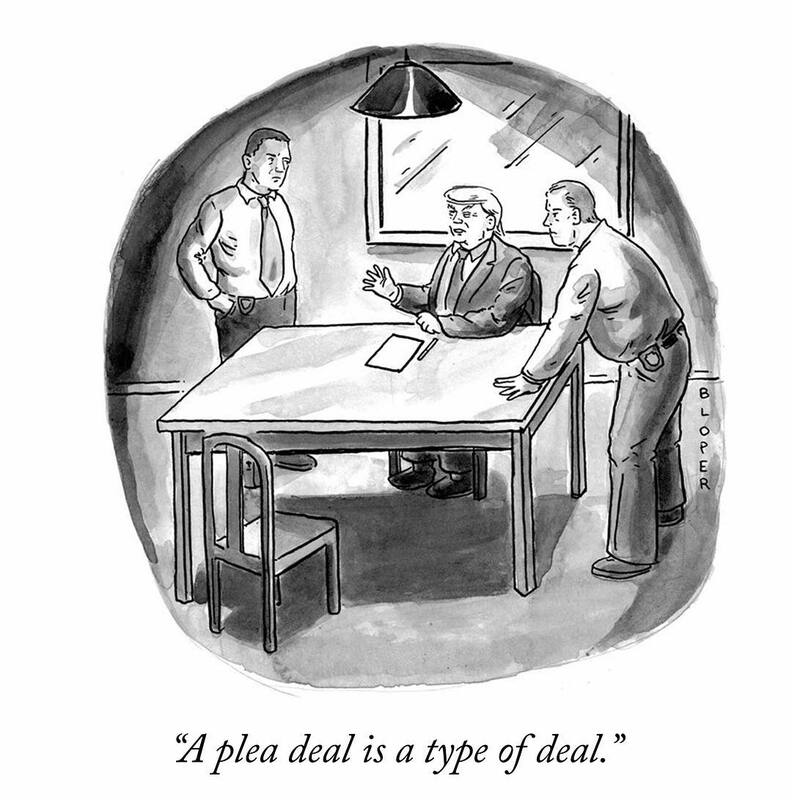 From their rhetoric and tone on crime, the "drug war" and immigration, to policy changes on policing, sentencing, mass incarceration, the private prison industry, and in stacking the federal bench with rightwingers, Team Trump is hoping to unwind many of the criminal justice reforms successfully enacted by Obama and his DoJ, particularly in the later years of his Presidency. But have Trump and Sessions' attempts to rollback Obama's criminal justice legacy, to date, been particularly effective? And, for that matter, why did Obama's efforts at reform come so late in his Presidency? 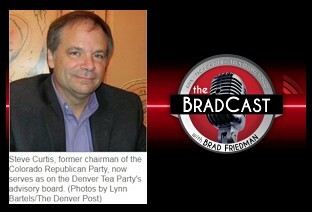 It's The BRAD BLOG's 14th Anniversary! Well, I need to keep this brief today (and will keep this post on top here for a few days, scroll down for the latest) but The BRAD BLOG is now, officially, 14 years old! Good lord. As I noted on yesterday's BradCast, it feels like, of late, that most of those 14 years may have occurred over the past year alone. Still, here we are, now heading into our 15th year of independent investigative, journalism, blogging, broadcasting, trouble-making and muck-raking! As long time readers and listeners have certainly noted by now, I've taken pains over all of these years --- for good or ill --- to remain fiercely independent in all that we do, a feat that has not become any easier over the years within either this political or media landscape. While we continue to barely break even and/or lose money every day in the bargain, getting rich at this has never been the point. (Though making a living to keep going would be nice!) My hope, instead, has always been to tell the truth, report on actual, independently verifiable facts in a moderately entertaining or engaging way and, in the bargain, do my duty as a journalist by helping to educate the electorate so you, in turn, can better do your job as an educated voter. Also, paying my rent and keeping food on the table is helpful as well. 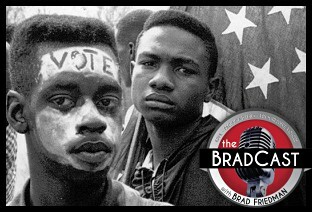 To that end, yes, I ask you to consider a birthday present to The BRAD BLOG here, so that we can continue doing alll of the above for as long as possible, particularly as we barrel into another --- and exceedingly important --- election year. To be frank, this work, at least for me, has never been more difficult on a whole bunch of levels. The toll it has taken, emotionally, physically, psychologically, economically --- particularly over this past year or two --- has been rough. But if you all can step up, as you have in the past, I hope we can keep going and make it through our 15th year. But, yes, I need your help very much to do that. 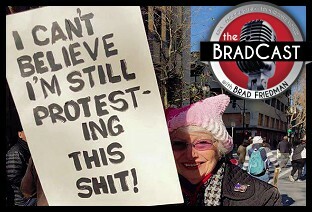 Please consider becoming a "subscribing member" of The BRAD BLOG and BradCast and Green News Report with a sustaining monthly subscription pledge of any amount you can comfortably afford. Or, of course, generous one-time donations are welcome as well! You can do either or both very quickly on the form below! From Desi, Ernie, 'PDiddie' and all of the others who have made this site and our work what it is, has been, and will become, my great thanks for the past exhilarating, exhausting, fulfilling, rewarding, maddening, eye-opening and otherwise extraordinary 14 years! IN TODAY'S RADIO REPORT: Five rig workers missing in natural gas rig explosion in Oklahoma; DHS waives major environmental laws for Trump's border wall; Treasury Dept. 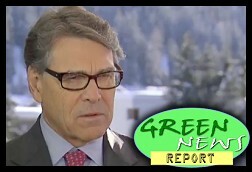 withholds disaster fund from Puerto Rico; Trump slaps big tariffs on cheap solar panels imported from China; PLUS: Keeping national parks open during a government shutdown "incredibly idiotic," says former director of National Parks... All that and more in today's Green News Report! Democrats in the U.S. Senate appear to have folded in their demand that Republicans protect 800,000 "Dreamers" in a short-term spending bill. In the bargain, they voted to re-open the federal Government on Monday, after a nearly identical bill was blocked from passage on Friday, resulting in a two-day shutdown of the federal government. The difference between Monday's vote and Friday's? A three week Continuing Resolution to fund the government, instead of a four week extension, and a promise (of sorts) from Senate Majority Leader Mitch McConnell to allow a vote on a measure to protect those 800,000 children of immigrants brought here years ago through no fault of their own, but who are now facing deportation beginning on March 5, following Donald Trump ending the Obama-era Deferred Action for Childhood Arrivals (DACA) program. 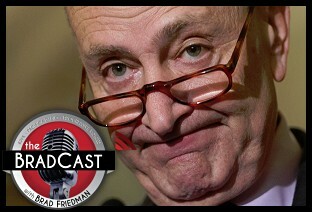 On today's show we discuss the politics around all of this, whether Democrats were right to give in for now, despite polls suggesting the public by and large blamed Republicans for the standoff, the angry progressives and immigration advocates who are furious about it, and whether there's a chance in hell that Republicans will allow a real fix to DACA without being forced to do so through a full and extended government shutdown. We take calls from listeners today on all of that, on the huge and absurdly under-covered Women's Marches held over the weekend in hundreds of cities, where anywhere from 1.3 to 2.1 million turned out --- not that you would know it from the lack of media coverage.